I picked up this pack a few months ago at a local Dollar Store. I needed some make up remover wipes, but didn't want to pay a fortune, because the funds just weren't there at the time. I know sometimes they sell name brand products, but didn't see any at the time. I thought I would give this a shot. 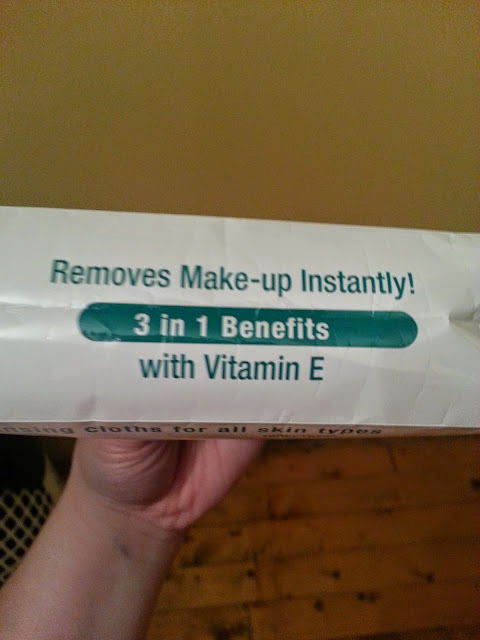 According to the packaging, it removes make up instantly, with 3 in 1 benefits with vitamin E.
I figured after reading it was dermatologically tested, hypo-allergenic, and alcohol free, it wouldn't hurt my skin if I tried it. These also only cost $1.25, so I was a little skeptical. But bought them anyway. 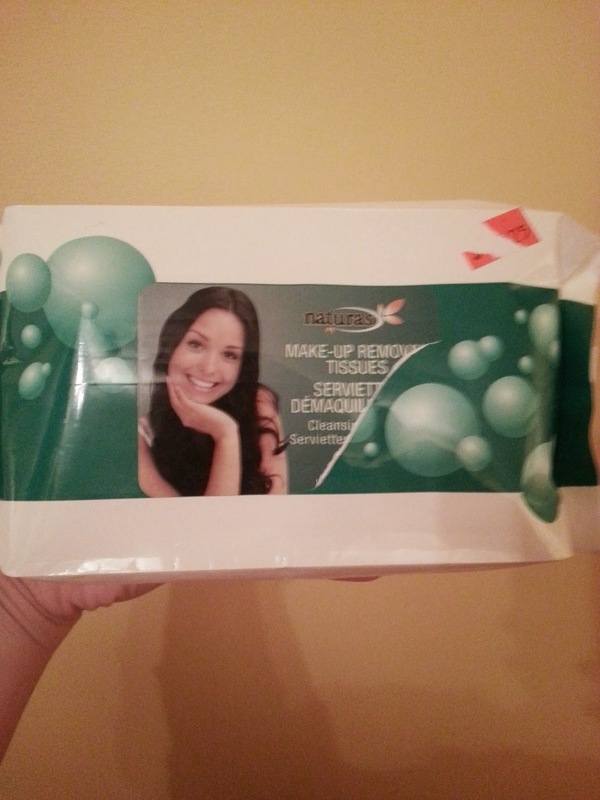 These were the cheapest, looking and feeling, tissues I have ever tried. They reminded me of a dryer sheet, that's how thin and rough they were. They weren't as wet as other brands I have tried either. 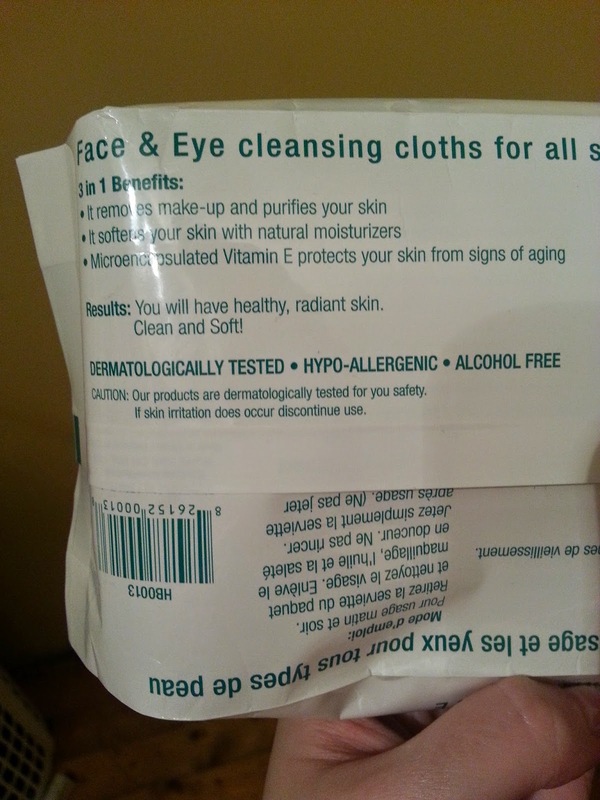 Surprisingly though, they did remove my make up, and didn't cause my face to burn or turn bright red. I found if I used 2 at a time, they didn't feel as thin or rough. For the price, they do a good job. However, quality wise, they were not the greatest. I would not repurchase these because I have found other brands that I prefer over this one. November 2014 - Ipsy Glambag!